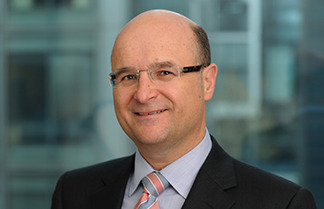 Norbert Seiler is Deputy General Counsel (Corporate) at the EBRD. He is a member of the Bank’s Senior Leadership Group and a senior member of the management of the Office of General Counsel (OGC), responsible for legal aspects relating to institutional and administrative matters, Treasury activities and Corporate Recovery matters. He is the line manager for several legal teams focusing on these areas, as well as for the Bank’s Operations Administration Department. Previously Mr. Seiler was the senior line manager for three teams of banking operations lawyers. Mr. Seiler represents OGC in various senior management committees overseeing the matters falling under his remit. He has also been serving as the Chair of the Bank’s Procurement Complaints Committee since 2005 and as Chair of the Bank’s Enforcement Committee between 2009 and 2015. Having joined the EBRD in 1991 shortly after the Bank’s inauguration in that year, Mr. Seiler was the transaction lawyer for many of the Bank's early operations and in the international capital markets. Following his promotion to Assistant General Counsel in 1996 he led the EBRD's law reform efforts and took charge of a legal team advising on Treasury transactions. Following his appointment to Deputy General Counsel in 1999, Mr. Seiler’s initial remit was to work extensively on institutional and administrative matters and Treasury matters. Between 1984 and 1991 Mr Seiler worked for Girozentrale Vienna (now part of Erste Bank, Austria) first in Vienna and London, and then (from 1987 to 1991) as general counsel of its New York branch. Mr Seiler holds both a master and doctorate in law from the University of Vienna and a Master of Comparative Jurisprudence from New York University, and he is admitted to the New York Bar.